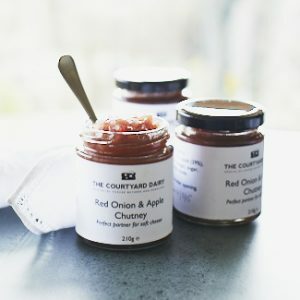 Christmas with a twist | Buy online from The Courtyard Dairy. 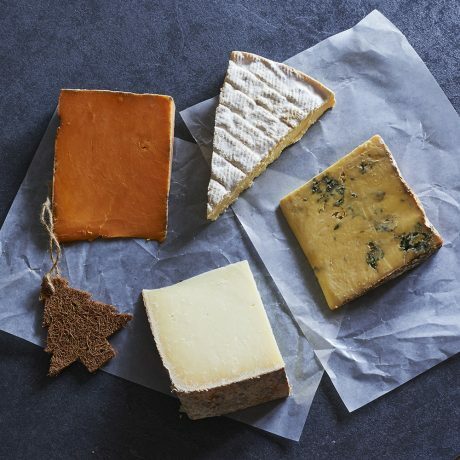 Four unique and different cheeses to grace your cheeseboard and get the family talking this Christmas: mushroomy, rich British Brie, Baron Bigod, tangy and powerful Vintage Sparkenhoe, Scotland’s answer to Manchego, Corra Linn and Devon Blue, a modern British blue that is minerally and gently piquant. Sparkenhoe Vintage. Unpasteurised cows’ milk. 250g. The only unpasteurised farmhouse red Leicester made in the world. This Sparkenhoe vintage version is aged for 18 months, which gives it a strong, powerful flavour. Devon Blue. Pasteurised cows’ milk. 210g. Devon Blue was one of the first modern British blue cheeses, created by Robin Congdon in the 1970s. Unpressed, French-style, it is sold by The Courtyard Dairy at four months old, when it is flinty, minerally and light with a subtle blue taste. Corra Linn. Unpasteurised sheep’s milk. 250g. Reminiscent of the finest Manchego, with a touch of Scotland. 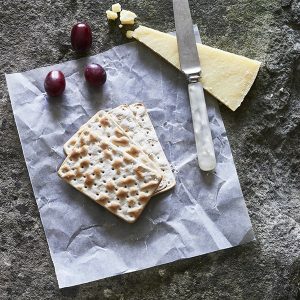 Using their own sheep’s unpasteurised milk, the Errington family have created a hard sheep’s milk cheese, that has a sweet hazelnutty flavour with earthy, heathery undertones – capturing the nature of the rugged Scottish landscape.